The most comprehensive study program on France bar none! The French Wine Scholar Study and Certification program provides current, accurate and in-depth information on the wines and wine regions of France. Follow the French Wine Scholar in classroom near your home or online through our acclaimed e-learning platform. 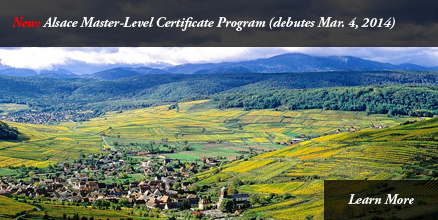 Become a recognized specialist in the French wine region(s) of your choice! Learn from Masters of Wine, Master Sommeliers and award winning authors and area experts. Study with up-to-date study materials and exiting on-demand lectures. Provides practical and valuable benefits not found elsewhere! Designed for wine professionals and wine lovers, our membership allows you to dig deeper into the diverse world of French wines. 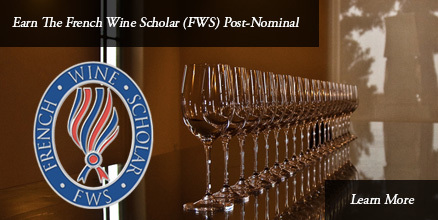 For only $100, the FWS membership gives you a year’s worth of wine education and enjoyment: exclusive live member webinars each month, a quarterly wine chronical that summarizes the latest news in the world of French wine, discounts on all education programs plus access to French pronunciation exercises, webinar and resource libraries! Experiencing a FWS immersion trip is the best way to complete your French wine education. Each trip is led by an internationally renowned expert and includes high-caliber wine tastings, vineyards tours,, memorable meals, insider producer visits with top estates and more.